As Google Apps / G Suite becomes part of your everyday life, have you wondered about your Excel files? Don’t worry, you can easily keep and edit your files in Google Sheets. The process is quick and painless. I, honestly, have never been a huge Excel user. However, a lot of data I get as a teacher is in Excel. I like to keep all my classroom data in one particular Google Folder and the whole Excel to Google thing made me nervous. Lately, I’ve fallen in love with Quizizz. Quizizz is a free formative assessment site that my students love. Apparently when you add memes to a quiz, kids beg to take it over and over. The site gives great data that you can even download (as an Excel file). If you are using a chrome browser, the file will appear at the bottom of the browser window. File at bottom of browser window. You can then simply drag it into your drive folder. This is great when you are on a Chromebook and aren’t saving to folders on a desktop. Next, all you have to do is right click (or control click on a Mac). Choose Open with… Google Sheets. After a moment, the Google Sheet appears. I’ve tried this with Excel files that had scripts in them that would graph and such. Amazingly, they still worked when converted to sheets. Don’t forget to delete that Excel version afterwards. If you’d like to see a bit more about Quizizz, I blogged about it in my Multiplication Strategies post. These resources come with a premade quiz in Quizizz which helps you get math data without grading a single problem! Improve memorization and help students multiply fluently with this digital Google Slides Resource by focusing on repeated addition and other multiplication strategies. Fun, self paced, differentiated multiplication practice motivates students to pass each assessment. Are your students fluent in addition facts? 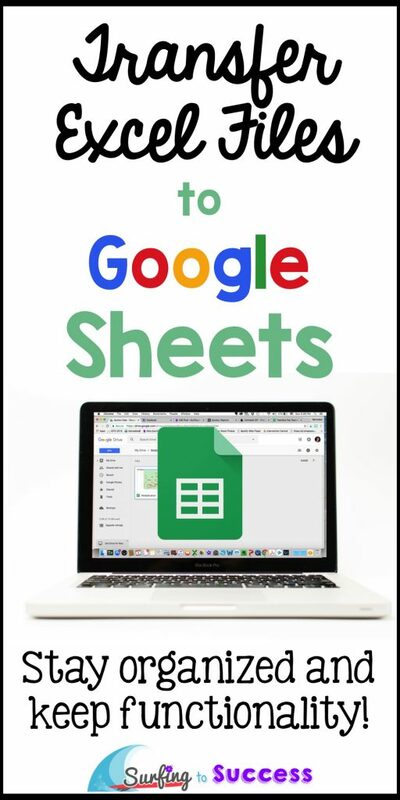 Students will add within 5, add within 10, make ten, and add within 20 using several strategies in Google Slides. Animated directions allow students to work independently on Part Part Whole, Number Lines, Turn Around Facts, Ten Frames, Twenty Frames and more. PEMDAS is a common acronym for the Order of Operations. This digital resource for the Google classroom, is scaffolded to encourage independent learning. Students practice progressively more challenging order of operations problems including Addition & Subtraction, Multiplication & Division, parentheses and exponents. 5 strategies for finding equivalent fractions are covered in this digital Google Slides resource. After reviewing fraction vocabulary, students will recognize and generate equivalent fractions using fraction bars, fraction tiles, fraction number lines, and multiplication. This digital interactive math resource for your Google classroom helps your students learn to multiply multi-digit numbers using the area model (also known as box method) and Partial Product Algorithm. There are four levels: Two Digit by One Digit Multiplication, Three Digit by One Digit Multiplication, Two Digit by Two Digit Multiplication, and Three Digit by Two Digit Multiplication. Are your 2nd graders learning to do 2 digit addition with regrouping? This digital resource teaches multiple strategies for two digit addition including adding using a number line, add two digit numbers by decomposing numbers (also known as add with expanded form), addition with place value manipulatives, and adding two digit numbers using the standard algorithm. Are your 2nd graders learning to do 2 digit subtraction with regrouping? This digital resource teaches multiple strategies for two digit subtraction including subtraction using a number line, subtract two digit numbers by decomposing numbers (also known as subtract with expanded form), subtraction with place value manipulatives, and subtracting two digit numbers using the standard algorithm. 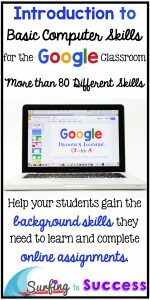 If you are just getting started with Google in your classroom, you may be interested in my Basic Computer Skills for the Google Classroom resource (aka Google Driver’s License).